Do you want to change something about your looks? It can be easily done by changing your eye color and making changes in your image. Colored contact lenses can be really good and you can get the best look by wearing subtle or party-wear colors on your eyes. Colored contact lenses can enhance the look of your eyes and give you a different look. They give different tone to your eyes and give a new definition to them. There are many companies floating colored contact lenses and the products of Johnson & Johnson brand are used worldwide to give illuminating effect to the eyes. Enhancement of color works in the best way for light toned eyes. However, opaque colored contact lenses are the best for dark colored eyes. It completely changes the eye color and gives completely a different appearance. It can transform the color of eyes and hence, the personality appears different. Read more about colored contact lenses here. Opaque lenses are not solid colored. It has a colored pattern stimulating a natural appearance of the human eye. It is always good to choose high-quality lenses as eyes are delicate part of body and you can’t compromise on getting it towards the other way. 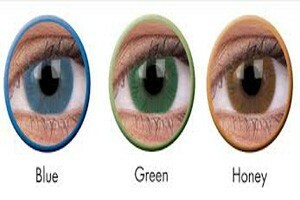 There are many people choosing costume matching color contact lenses. It is specially used in the case of parties to match up with the dresses. It is real fun for some people to change their personality traits with the use of artificial colored lenses. get more information on personality traits at http://psycnet.apa.org/index.cfm?fa=search.displayRecord&uid=1998-10661-003. Wash your hands before putting the lenses and clean the lenses every time you put them off from your eyes. Use recommended solution for storing and fixing the lenses. Color lenses should not be shared with anyone. Never use peroxide based solutions for cleaning the lenses as it can damage the color of lenses. Put makeup after getting the lenses inside your eyes. Don’t use any sprays before putting lenses in the eyes.